Can you imagine all your potential #OOTD shots? 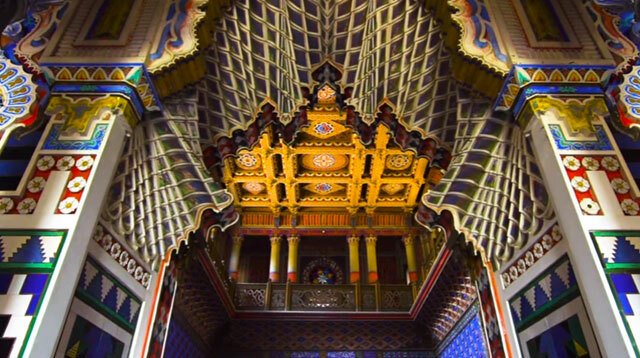 When it comes to art or architecture, we're not exactly experts, but we dare you to find a more stunning (and more colorful) castle than Sammezzano. It sits pretty in Leccio, Florence, Italy and has 365 rooms—one for each day of the year. The Castle of Sammezzano was built in 1605 by a Spanish nobleman, and it served as a luxury hotel right after World War II. It was closed in the '90s, but is now undergoing restoration. Aside from rare public openings, the castle is technically closed, so we might have to wait a few years before we get to visit.